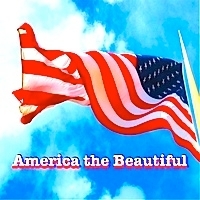 Same music as "America the Beautiful" mp3 but without voices. All 4 verses of "America the Beautiful" for solo voice or choir. Long introduction allows time for recitation of the Pledge of Allegiance. This is suitable for Patriotic occasions such as Veteran's Day, Memorial Day, Presidents Day or July 4.